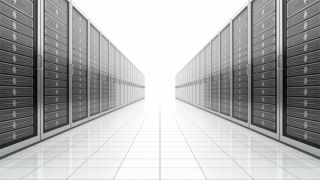 Moving to a virtualised server infrastructure is now commonplace in many businesses. It's possible to use combinations such as Dell PowerEdge servers and VMware virtualisation applications to obtain a number of benefits. However, a virtual machine (VM) deployment is not a complete 'once and forget' exercise, as to gain the most from any VM environment it is vital to have good management and monitoring systems in place. The market is awash with VM management and monitoring applications. Market leaders include Veeam One, Foglight for Storage Management, VMware vCentre Server, Solarwinds VM Monitor and VMTurbo's Virtualisation Management Suite. The specific profile of the VMs being run will determine what level of management and monitoring tool is needed. Some tools offer multi-vendor dashboards, but IT managers will often need a set of tools for their VMs (which could be specific to VMware, Microsoft Hyper-V or Citrix XenServer) that manage just one deployment. Also, the free management applications that come bundled with each type of VM are not compatible with another from a different vendor. In addition, a separate set of tools to manage the underlying hardware will often be required. All of the VM monitoring tool vendors are working towards platforms that can do both, but for now, looking carefully at each tool will reveal how much control of the hardware layer is possible. It can also be easy to simply focus on the backup of VMs and their movement across your server landscape and ignore other critical management aspects. The restoration of a failed VM should be top of the list with any management application, but other key features should also be built in. VM monitoring should also give you an insight into the ebb and flow of the its performance over a given time period. This will enable you to see where bottlenecks are forming, and provide useful information such as the use of the swap file, CPU usage and I/O activity. Troubleshooting is a major component of an IT manager's tasks. With highly virtualised environments, the monitoring and performance application must be able to identify issues with a specific or multiple VMs. In addition, management applications often allow IT managers to be proactive with their VMs and set up test configurations to see how these would impact on overall server performance. Choosing the right management and performance monitoring platform will involve assessing your precise needs and how much granular insight you are looking for across the VMs that are deployed. The in-built applications in all VMs may suit your needs initially, but as your requirements become more sophisticated, third party management tools come into their own.